Huge Savings Item! Free Shipping Included! 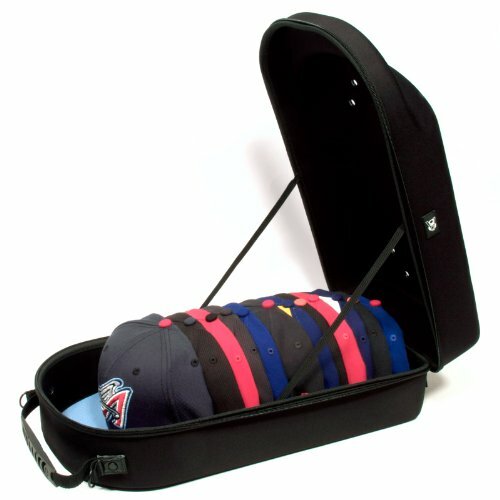 Save 17% on the HG 12 Hat Case Homiegear Brand Carrier Case, 12 Hats for all Caps, Snap Back, Fitted by HG 12 Hat Case at Wander Soul. MPN: 544910275214. Hurry! Limited time offer. Offer valid only while supplies last. There is no other case in the market that will protect 12 caps this is a perfect case for hat collectors do not travel without protecting your hats. There is no other case in the market that will protect 12 caps this is a perfect case for hat collectors do not travel without protecting your hats. Homie gear cap carriers are designed to give headwear collectors a sleek and stylish way to store and transport their caps. These carriers are made of lightweight, crushproof neoprene. Eyelets allow ventilation with an included shoulder strap for carrying ease. Caps not included homie gear 12 cap carrier made of 50% plastic, 50% nylon, woven homiegear cap carriers are designed to give headwear collectors a stylish way to transport, store and protect their caps. This crush proof neoprene case stores 12 caps and features multiple eyelets for ventilation, removable shoulder strap for easy transport, convenient double zip closure and hg logo branding. If you have any questions about this product by HG 12 Hat Case, contact us by completing and submitting the form below. If you are looking for a specif part number, please include it with your message.